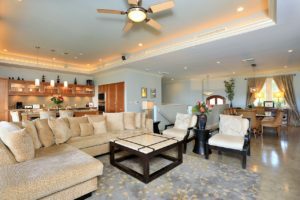 We are happy to bring Ho’olei 93-3 to market as an excellently maintained and highly desirable villa located just above the Ho’olei pool. The pride of ownership is bar none as no expense was spared when creating the vibrant and sophisticated design of the villa. The sellers even hired a prestigious California interior design firm to ensure their vision for the villa would come to life. The villa is being offered 100% turn key, so what you see is what you get. The villa features impeccable designer accessories, and nothing but the best finishes. 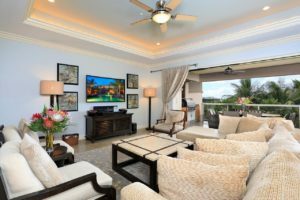 Personalized window treatments and custom made furnishings have been utilized throughout the entire villa to create the most magnificent Maui lifestyle. With 3 bedrooms, 3.5 bathrooms, 2619 interior sqft, and 2 outdoor lanais, this unit will check all of the boxes. Whether you have a large family or are looking for a private getaway, Ho’olei 93-3 can offer a versatile choice for all. While the interior finishes are cozy and elegant, the outdoor areas are equally charming and desirable. Both of the outdoor areas have been thoughtfully crafted for multi generations, and feature private seating areas for the entire family. 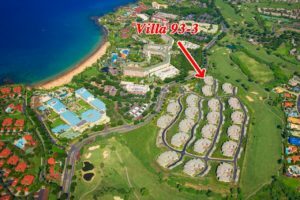 Special villas like Ho’olei 93-3 seldom become available in the neighborhood. Ho’olei is a very special hotel-zoned community, with options for daily rentals coordinated by the Grand Wailea Resort. Other finishes include two Sub Zero refrigerators, four freezers, and Wolf stainless steel appliances add to the contemporary feel of the extravagant kitchen. Thick dual-paned Fleetwood glass doors magically retract into the walls to reveal and allow access to the lanais. 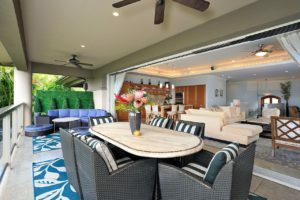 You and your guests can enjoy a unique experience with the benefits and amenities of the Grand Wailea Resort while staying in a beautiful residence. Villa 93-3 has been impeccably maintained, and is totally ready for you to make it your new Maui home. So far in 2019, two units have already been sold, setting strong comps for the rest of the year. 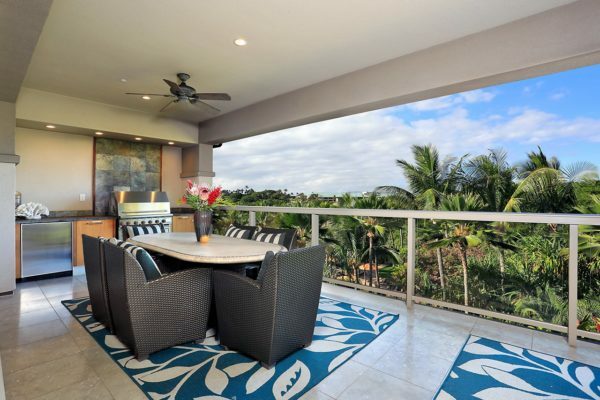 Both of the units sold were in the $3 million price range, the upper part of the Ho’olei market. 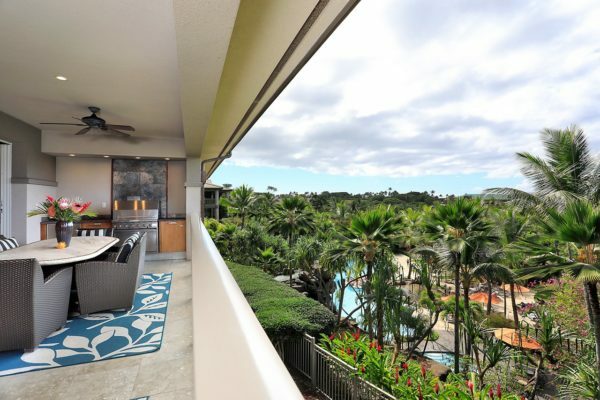 2019 will be an interesting year for Ho’olei as sellers are excited by the recent activity, while buyers will be eager to secure a deal before they miss out on a unit they look. For a better idea of how the Ho’olei market has been playing out in recent years, check out our 2018 Ho’olei Year In Review report. With only 4 units for sale and another in escrow, buyers should understand that there is competition in the market with most high end units for sale. If a competitively priced unit comes to market, buyers should be ready to move on property before missing out on an opportunity. Of the two units sold in 2019, they were under contact within 2 weeks from their list date. When inventory is this low, we always recommend our clients stay up to date with our Ho’olei new listing email alerts. The alerts can be customized to any criteria including single family homes and condos. If you need assistance in setting up this feature, we would be happy to do so! If you’re interested in learning more about our private collection of listings, please contact our team for more information. 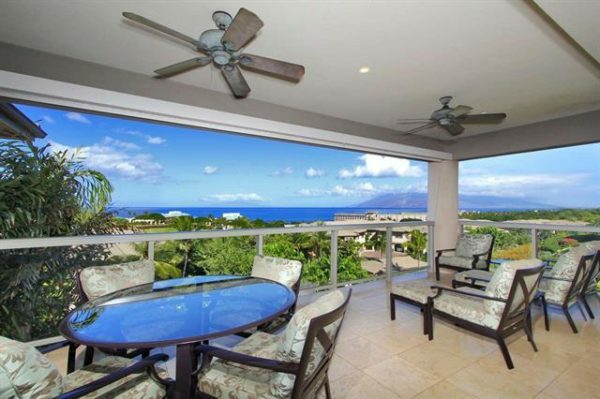 We specialize in the most exclusive Maui Real Estate including the Makena Wailea resort areas. Our team of exceptional agents are ready to find you your perfect Maui lifestyle property. We respect your privacy and look forward to connecting with you soon. Mahalo!